weighted tubing and air diffuser. vinyl tubing and air diffuser. parts, thereby maximizing energy efficiency and extending motor life. and know that you are voiding any type of warranty the pump may have by using it outdoors. 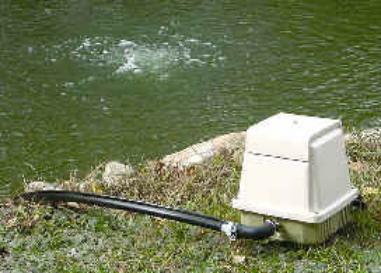 These pond aeration/de-icer kits are all outdoor rated and priced shipped to your door. check valve when air flow stops. compressor package can be added for use for pond aeration. tubing, 15' of weighted tubing and air diffuser. Works in ponds up to 8' deep. * Available in 9' and 12' tall models. 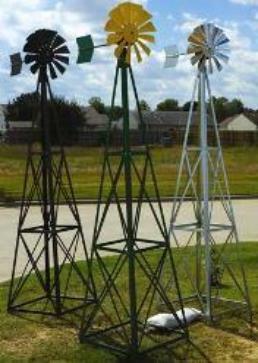 * 12' tall windmill is structurally strong for high winds. * One-piece, 27" head with twelve blades. 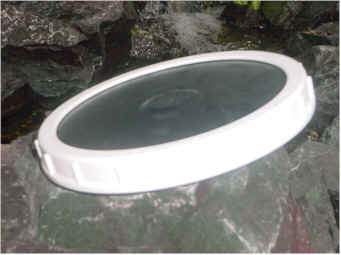 * Easy anchor system - can be anchored to concrete or into the ground, anchors included. 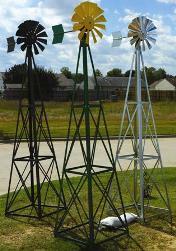 * Available in galvanized steel or powder coated colors of bronze, red & white, or yellow & green. 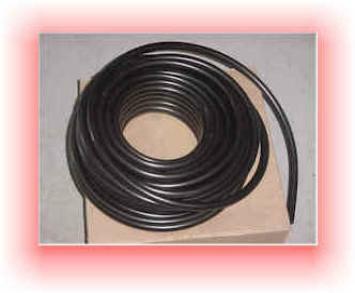 for easy installation even in cold weather.